Petersen Oil Company is a family owned distributor of fuel, propane, and lubricant products serving Commercial, Agricultural, Industrial, and Residential customers. Beginning in 1947 we have built a reputation as one of Michigans most trusted and innovative distributors. Our fleet of local delivery trucks provide delivery capacity of up to 4000 gallons through much of Central and Western Michigan. 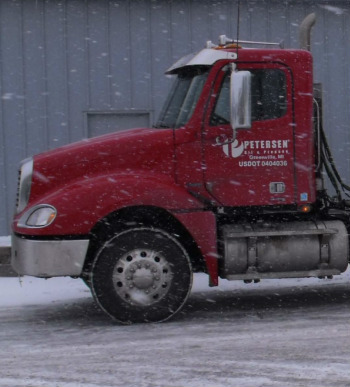 Our transport fleet offers service throughout all of lower Michigan with delivery capacity up to 13400 gallons. In addition to our core products of refined fuels, lubricants, and propane we provide fleet fueling solutions through the nationwide Pacific Pride fueling network, Natural Gas service as a partner with My Choice Energy, Diesel Exhaust Fluid, Propane Vehicle conversions, Forklift Cylinder filling and exchange, tank and dispensing equipment for fuels and propane, and renewable ethanol and biodesel fuels.